Learning how to program WiFi-enabled embedded devices is always useful. But learning how to program them in Python is even better. That’s why the Udemy course about programming embedded devices and connecting them to AWS Cloud is so popular. 2000 people have already completed it. And we are proud to be a part of that. The course is called “Exploring AWS IoT” and Zerynt is a part of it. Through 4 lectures and a quiz, you’ll learn how to program the ESP32 DevKit C in Python with Zerynth and connecting to AWS. We completed the quiz. Give it a go, and find out what your results would be. If you want to learn more about it, visit the Udemy course page. You can also read our article about it from last year. If you want to go more in-depth with the combinations of Zerynth and AWS we have a great tutorial for you – Firmware Over-the-air updates via AWS. 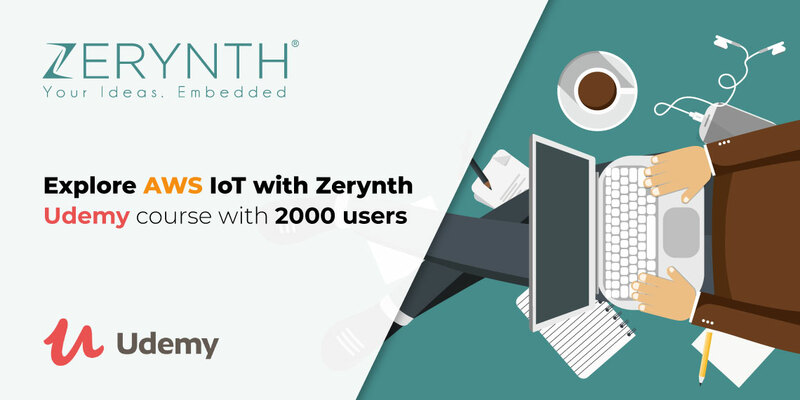 We’ll show you a safe and easy mechanism to seamlessly update the Python firmware of Zerynth powered devices connected to Amazon Web Services (AWS) IoT endpoints. There’s no time like the present – start using Zerynth Studio today! It’s free to download and available for Windows, Linux, and Mac OS.